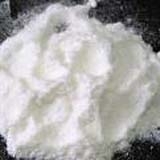 United Sorbic Acid Suppliers, United Sorbic Acid Manufacturers. White crystalline solid, with a weak characteristic odor.Mold and yeast inhibitor, fungistatic agent for foods, especially cheeses. To improve characteristics of drying oils. In alkylated type coatings to improve gloss. To improve milling characteristics of cold rubber.